You guys remember the Double Fine Adventure Kickstarter from last year, right? How that changed the face of game development forever and eventually turned into Broken Age? Well, that game isn’t even out yet and Double Fine is already doing another Kickstarter campaign. Don’t worry! It’s not for Broken Age. It’s for an entirely new game idea with a different team within the studio working on it called Massive Chalice. 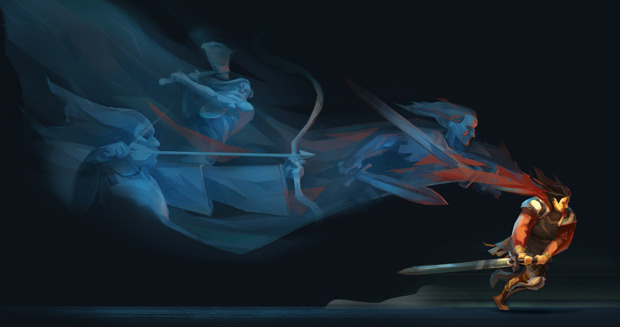 Massive Chalice is a PC game headed by Brad Muir, who was the project lead for Iron Brigade. It’s described as a tactical strategy game similar to the likes of X-COM, Fire Emblem and Final Fantasy Tactics. You’ll play as an immortal ruler who has to defend your kingdom for centuries. Much like with Fire Emblem, death is permanent in this game. Your units can die in battle or die of old age. However, you can choose to retire a warrior for them to leave a relic behind to make their descendent even stronger. Much like Double Fine’s last Kickstarter, this game is getting a ton of donations already. It’s already surpassed $90,000 as I type this article, and I guarantee you that it’ll be higher by the time you read this. You can help fund Massive Chalice here. You can also watch the Kickstarter video below.